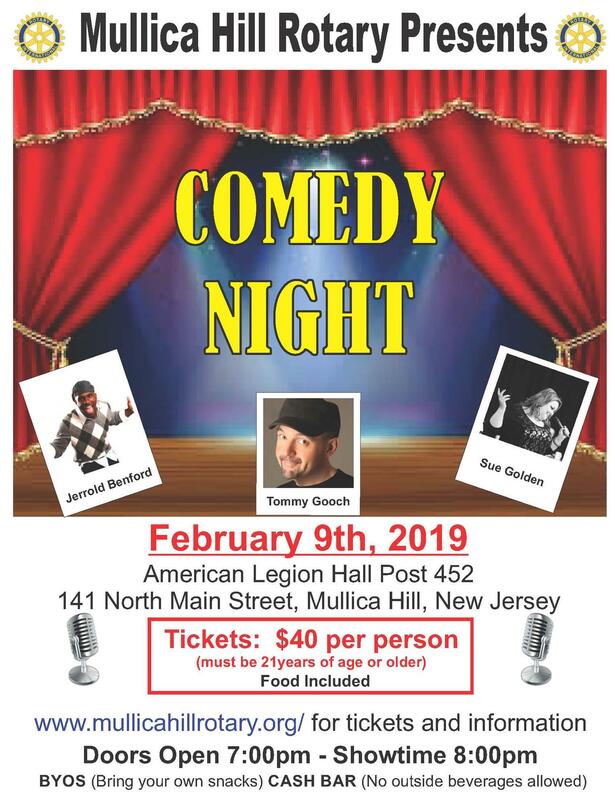 OUR CLUB WILL Be SPONSORING A NIGHT OF COMEDY AT THE AMERICAN LEGION ON SATURDAY, FEBRUARY 9TH, 2019..... ESCAPE THE WINTER BLUES AND COME LAUGH WITH OUR 3 COMEDIANS, TOMMY GOOCH, SUE GOLDEN, AND JERROLD BENFORD..... COST $40 PER PERSON, FOOD INCLUDED, CASH BAR. PROCEEDS BENEFIT OUR SCHOLARSHIP PROGRAM AND RYLA PROGRAM.